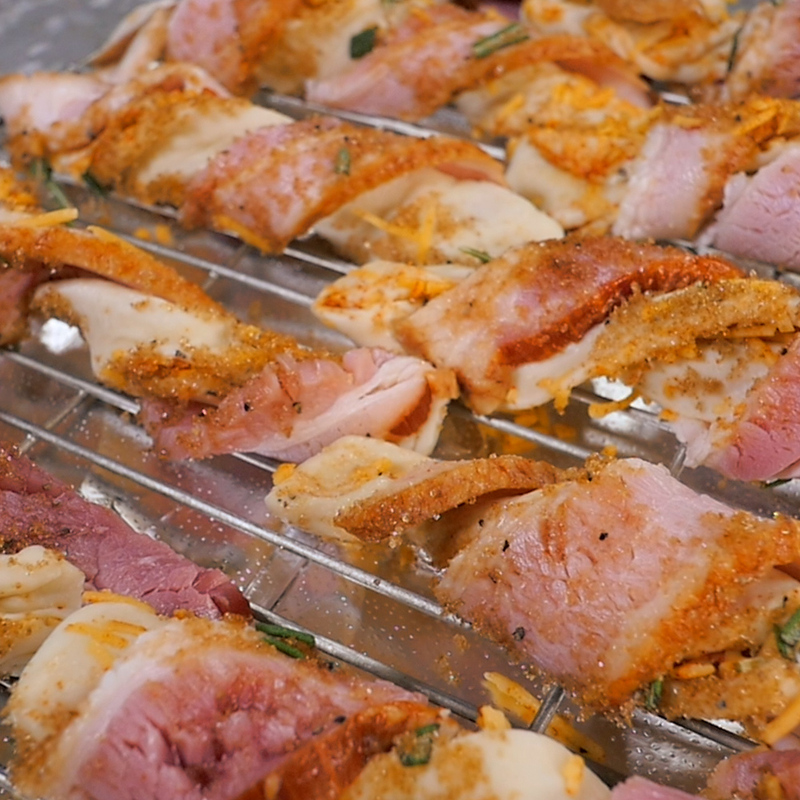 Be Sure To Make Extra Of These Cheesy Bacon Twists…We Devoured All Of Ours In Minutes!! 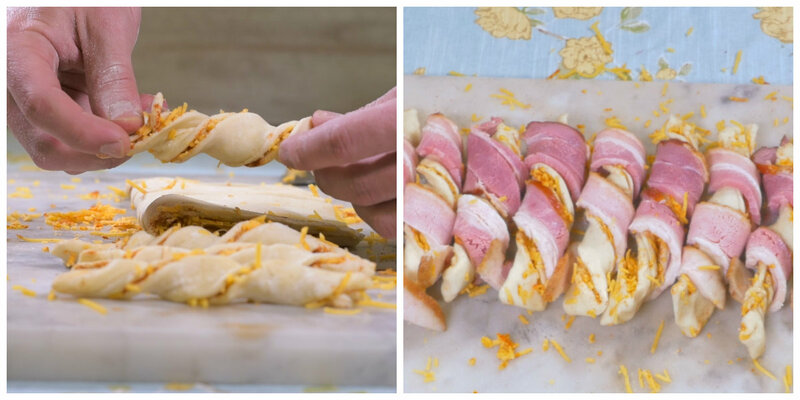 It’s not often that we’re completely bowled over by a recipe, but these puff pastry bacon twists completely shocked us. The pastry is perfectly buttery, but it’s the combination of flavors and textures that really knocked it out of the park; cayenne, brown sugar, rosemary, bacon…all of these distinctive flavors blend and, while you wouldn’t think they would all go together so well, the combo is incredible, with a perfect, spicy kick to leave you wanting more. The other great thing about these bad boys is their beautiful presentation! For being an easy (and fun) appetizer, they look amazing and are an excellent choice for entertaining. While we could sit on the couch and snack on these ‘til the cows come home, it’s seeing other people enjoy them and be impressed by them that really gives us a kick…no excuses, folks, these twists are phenomenal and you need to try them to see what we mean! Preheat oven to 375º F, line a baking sheet with parchment paper and spray a wire rack with non-stick spray. Unfold puff pastry and evenly sprinkle cayenne over the dough. 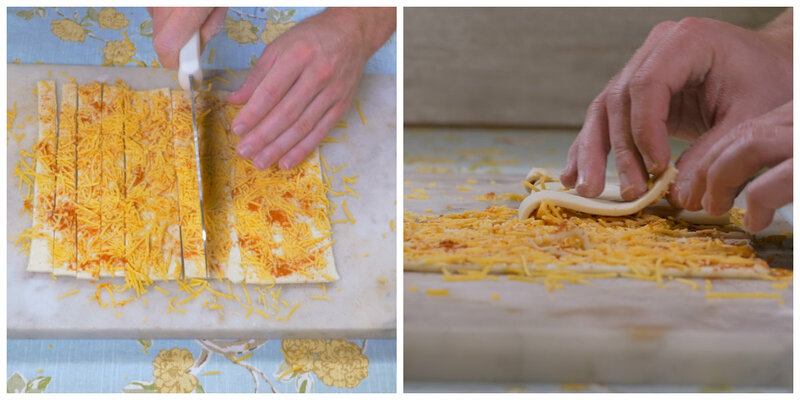 Top with cheddar cheese, then lightly go over with a rolling pin to press cheese into the pastry. Cut puff pastry into 12-14 thin strips (about 1/2-inch each) and fold each strip in half. Pinch edges together to seal. 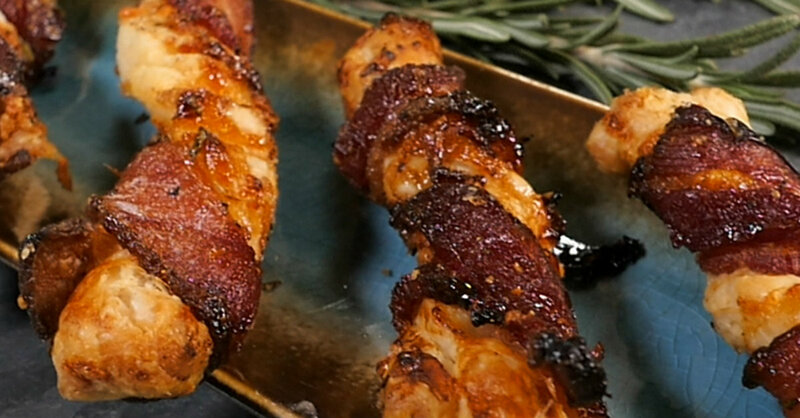 Taking one end in each hand, twist each strip several times, then take a slice of bacon and wrap it around each twist. Combine brown sugar, rosemary, salt and pepper in a small bowl and mix together. Carefully take each twist and press it into the sugar mixture until coated on all sides, then place twists on wire rack. Place wire rack on lined baking sheet and bake for 40 minutes, or until bacon is crispy and puff pastry is cooked through. Remove from oven and garnish with oregano, if using. 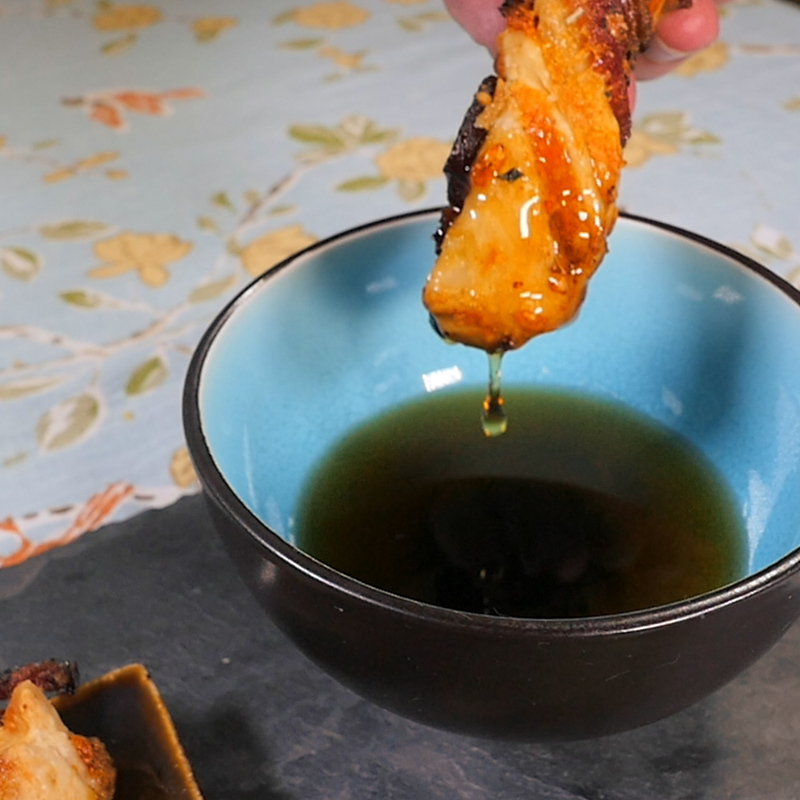 Serve immediately with maple syrup.